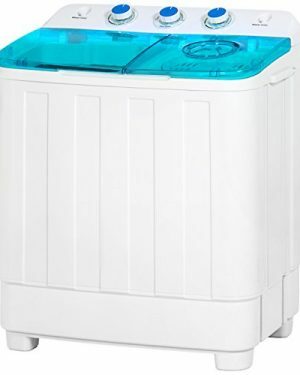 Portable compact washing machine is perfect solution for doing laundry in a compact environment. 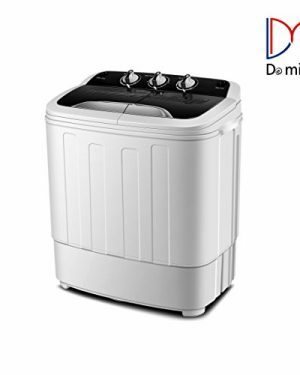 The washer features a large 11 pound load capacity for doing light to medium laundry loads. Easily select wash or dry spin and the machine will automatically stop when the load is done. 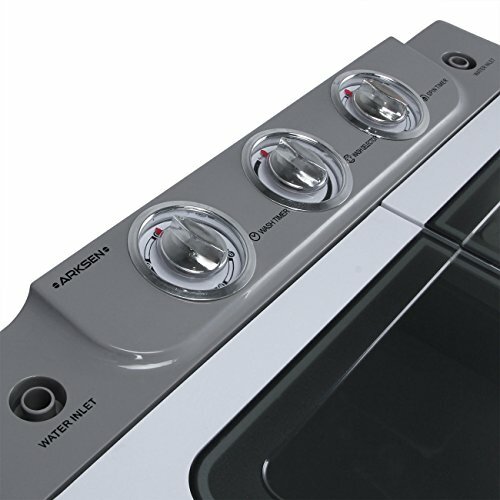 Machine features a drainage tube which allows you to easily drain out dirty water. Save water and electricity by only washing what is needed. 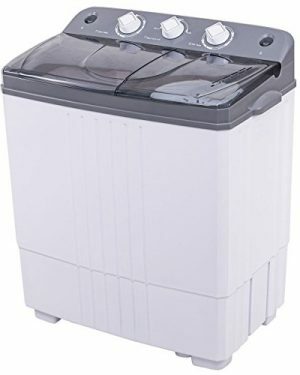 This washing machine is great for dorms, apartments, condos, motor homes, RV’s, camping and more. 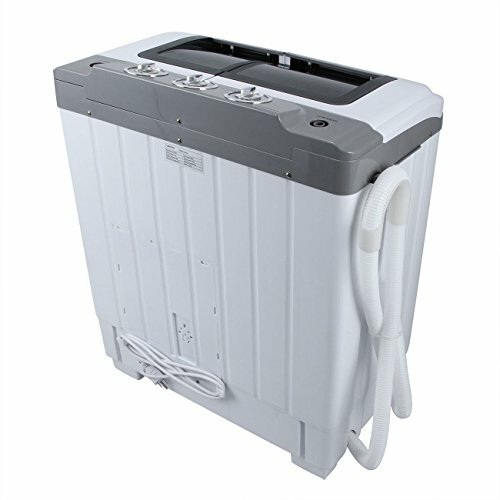 【Compact & Portable】This twin tub washing machine is portable and compact, it is perfect for dorms, apartments, condos, motor homes, RV’s, camping and more. 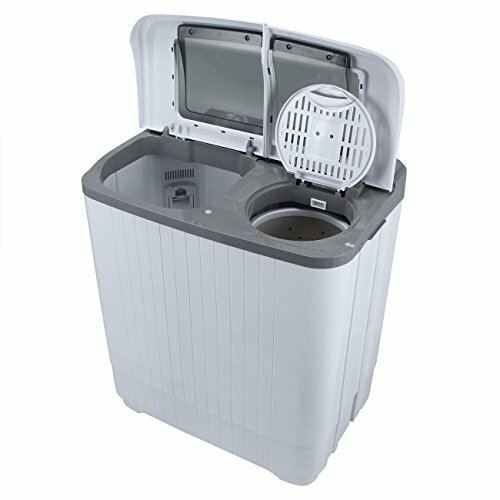 【Large Capacity】The large capacity of total laundry 16lbs(washer: 10lbs, spinner: 6lbs) can make your life more convenient. 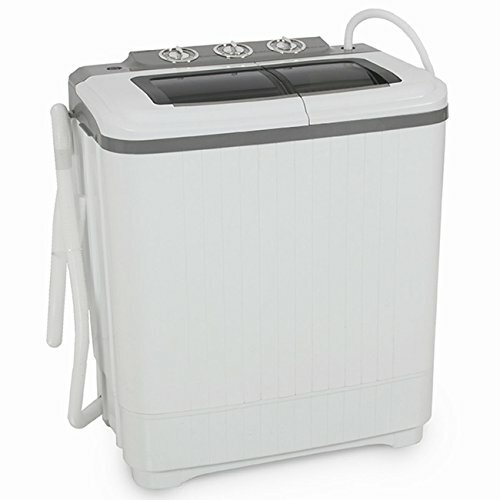 【Timer Control】This washing machine has separate timer control settings for wash and spin operations, simply put in your load of clothes, fill with water, set the timer and start washing. 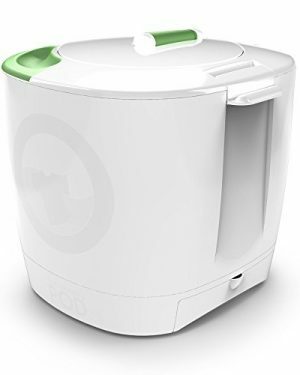 Largest capacity possible for a portable washer and spinner; with a washer capacity of 10 to 12 pounds and a spinner capacity of 6 to 8 pounds, you’ll finish your laundry in no time! 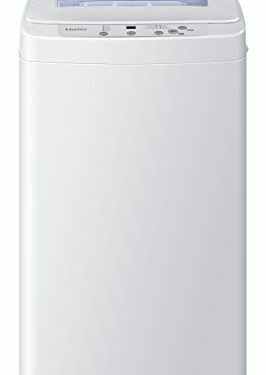 The Mini Washer and Spinner Can Do Small Loads of Laundry. Don’t compare on price, you get what you pay for.